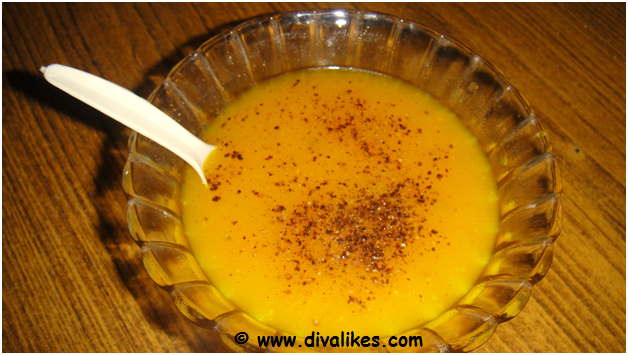 Pumpkin is the vegetable which is used all around the world. It is rich in carotene, which is an essential nutrient for our eye sight. There are many recipes which can be prepared using this vegetable. 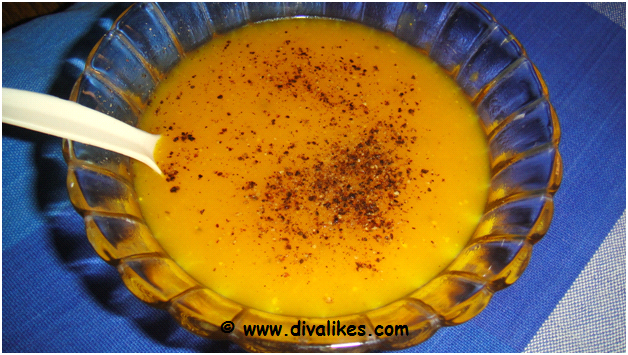 Pumpkin soup is commonly made during Halloween in USA. 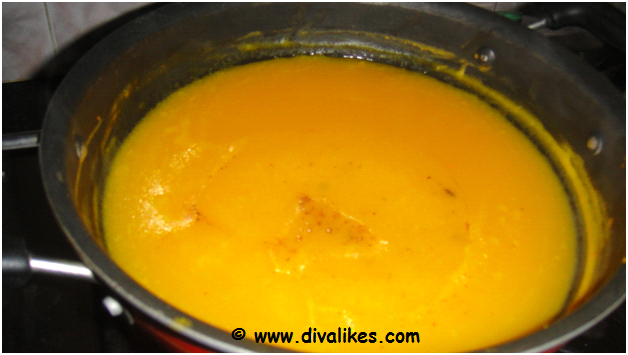 This soup is rich in nutrition and is excellent during this winter season. Cook the chopped pumpkin and mash well. Melt the butter in a pan. 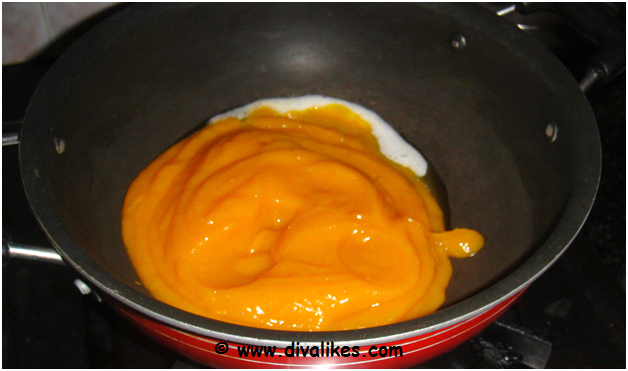 Then add the mashed pumpkin and mix well. Add the milk and a cup of water. Let it boil. Add the cinnamon powder and required salt. Boil the soup for ten minutes. 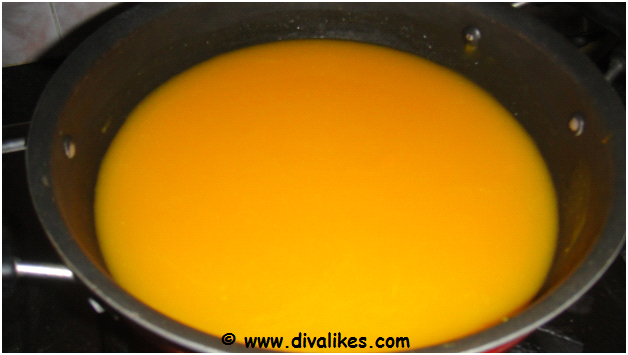 Mix the corn flour in half cup of water and add this to the boiling soup. Cook for five minutes and keep stirring. Take off from flame and serve hot. 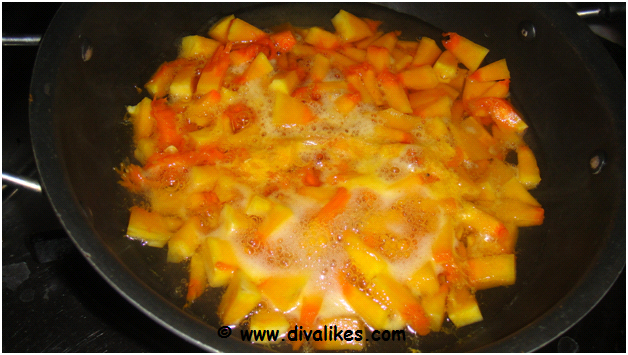 Sprinkle pepper powder before serving. 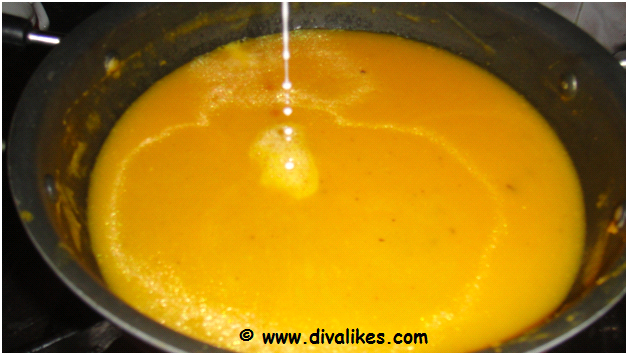 Pumpkin soup is ready to serve.